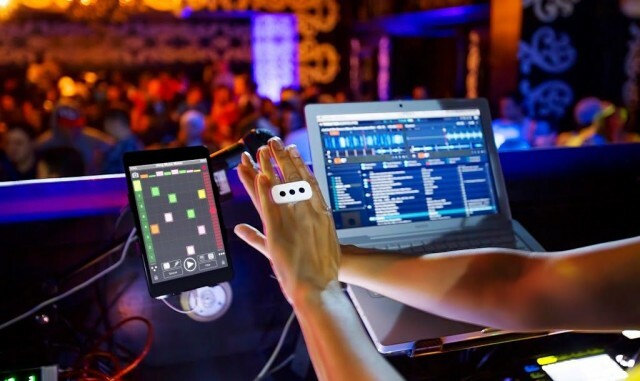 Sliding two distinctive iRings between my middle and ring fingers on each hand and then conducting the bouncy electronic beat coming out of my iPad mini and into my big fat headphones made me feel less like a conductor and more like an awkward boxer, punching at a touchscreen. Once I relaxed into it, though, the music started to flow and my hands began to dance; this is one cool iOS music-making peripheral. 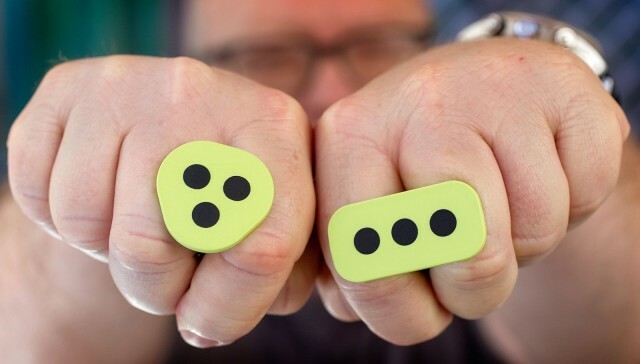 The iRing is made for making music, but the potential here is stunning: Imagine a video game controlled with your hands, a webpage that scrolls at a speed you define with your fingers, or an e-book that turns pages with a swipe through the air. This is a truly innovative new product. This probably isn’t the “iRing” you’ve been waiting for — assuming you’ve been waiting for the mythical (One) Ring, forged by the skilled elves of Logbar, that wants to control, well, pretty much everything in your life. No, this particular ring — IK Multmedia’s iRing — won’t control your TV, your phone or your wallet. But it is imbued with the power to create music on your iDevice. To save time, here’s my advice: If you have an iPad or iPhone, a guitar and $300 to spend, then spend it on the iLoud. It’s a small, portable Bluetooth speaker that is way louder than any other Bluetooth speaker, and it lets you plug in your guitar and use your iPhone – wirelessly – to add effects using an app like IK Multimedias’s AmpliTube. More importantly, the iLoud rocks. For the musician on the go, in the studio, or on the stage, this Cult of Mac Deals offer is designed to meet all your mobile sound needs. 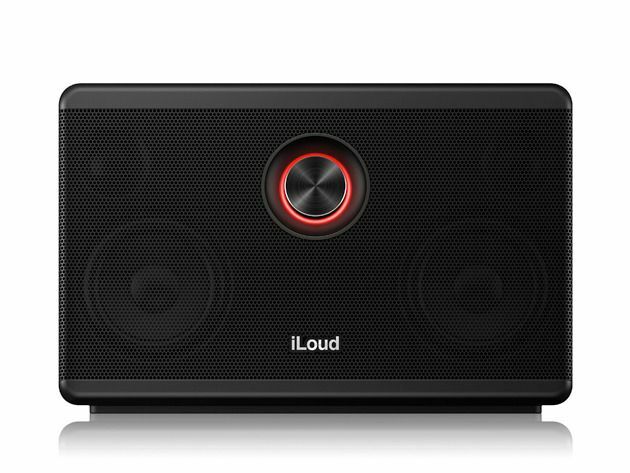 iLoud is the first portable Bluetooth speaker designed with musicians and audiophiles in mind. It allows you to reproduce your music – in every possible mobile situation – as accurately as you would in the comfort of your studio. Plus, it offers a ¼” microphone/guitar input for use with iOS music creation apps, so you can record, edit, and perform all on-the-go. And Cult of Mac Deals has the iLoud for just $239 during this limited time offer. IK Multimedia is responsible for a veritable boat-load of music peripherals and apps, like the hard-rocking guitar crunch of effects app Amplitube and the portable MIDI keyboard iRig Keys. If you’re a musician interested in working with iOS devices on stage, IK Multimedia is the place to go. It was with excitement, then, that I opened the latest review gadget from the musical company, the iRig BlueBoard, a small footprint Bluetooth-enabled pedal board meant to help you switch effects in a guitar app like Amplitube or piano sounds in something like iLectric Piano, both IK Multimedia apps. 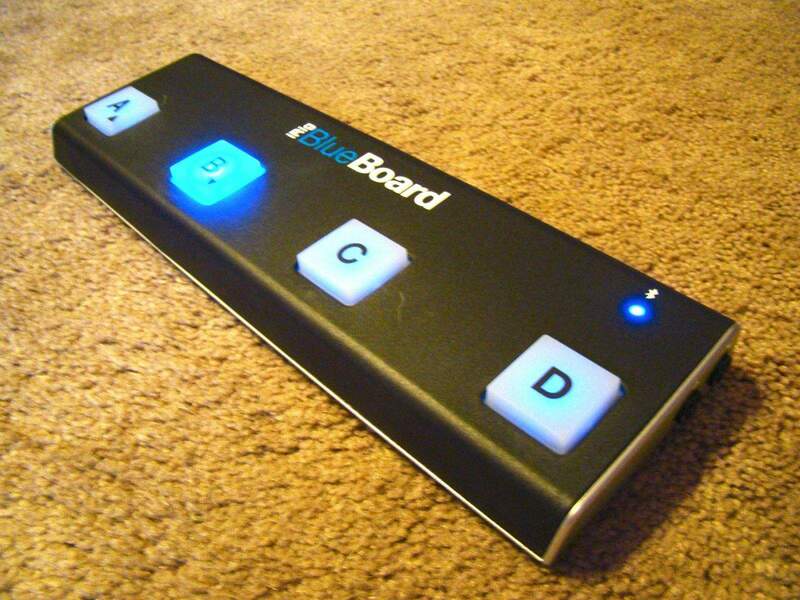 The BlueBoard is a great idea, especially if you’re working with a guitar or keyboard hooked up to an iPad or iPhone. Being able to switch settings on the fly with a foot-operated switch is something I do all the time with my analog guitar foot pedals. Having it do so via Bluetooth is even better, as it won’t take up the 30-pin or Lightning connector, leaving that free to connect a guitar or MIDI interface, like the iRig HD guitar adapter or the iRig Keys. Unfortunately, that’s where the great idea stops and the difficult to figure out begins. You’ve seen IK Multimedia’s gear grace the pages of this site before — the company is at the forefront of popping out music-making electronics and software geared toward musicians. 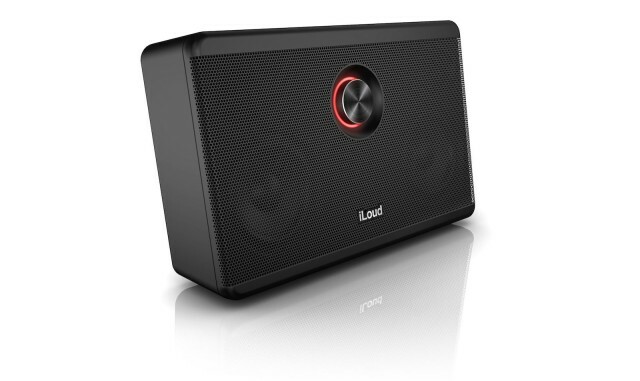 So it’s no surprise that now they’ve finally joined the increasingly crowded high-end Bluetooth speaker club, their take, the iLoud, is a reference-grade studio monitor — and as its name suggests, an apparently very loud one. Sounds so good, you'll think you're in a 70s band. IK Multimedia is a powerhouse of music peripherals and apps for the mobile musician, with a range of products including the iKlip mic stand mounting series for iPad and iPhone, the iRig Mic and iRig Pre, and a host of guitar, voice, and recording apps for iOS. Recently, the company released iLectric Piano, an electric follow up of sorts to its iGrand acoustic piano app of a few months back. 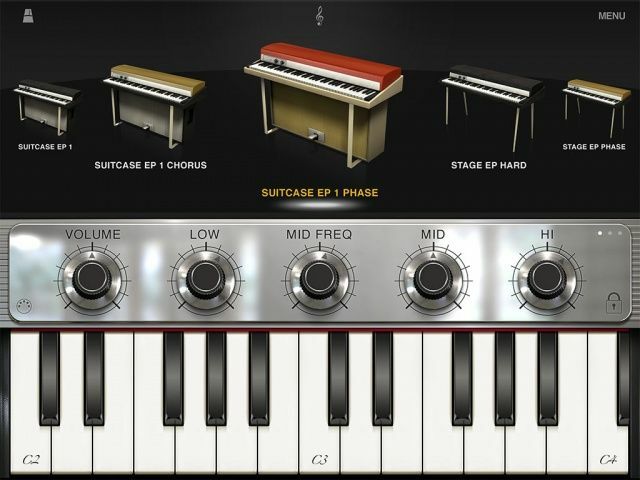 iLectric provides 19 different electric pianos, sampled from the instruments themselves, and placed in a fun, easy to use, useful iPad app that’s just brimming with the funky, groovy sounds of electric piano the likes of the Wurlitzer 200A and the Hohner D6 Clavinet. ANAHEIM, Calif. – IK Multimedia has a number of Apple devices for musicians and is expanding some of them to other iOS devices. 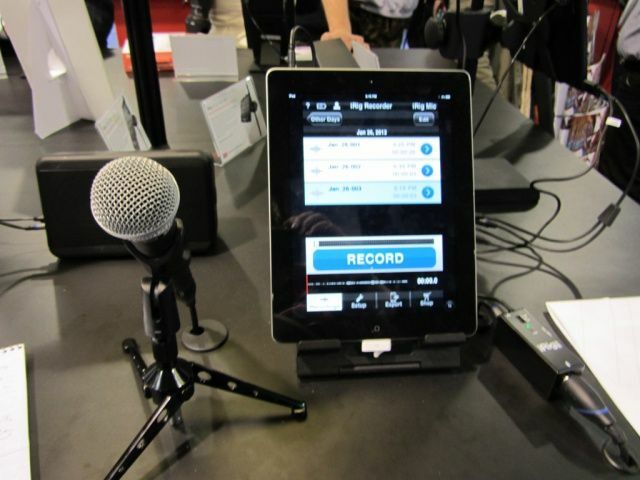 One example is iRig HD for iPad, a high definition audio recorder that makes quality recordings of vocals or acoustic audio. iRig HD does a 24-bit A/D conversion for a signal free of background noise or crosstalk. An onboard gain control allows you to find the idea distance for the microphone to get the cleanest recording at the best audio levels. iRig is already available for iPhone, iPod Touch and Mac. Pricing for the HD model is not available yet. Back in the 90s, I was in a modern rock band. Yeah, I know, who wasn’t? Anyway, one of the thing we did, as most rock bands do, was to create our own demo tapes and recorded music. We used a variety of hardware to get our music onto tape, and then when I got my first Mac, I started using it to record multitrack demos right in my living room. The thing about home recordings is that they sound like they’ve been recorded in your home. 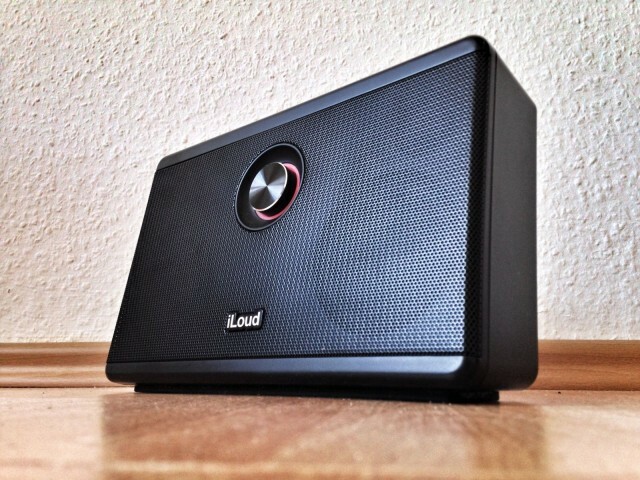 We wanted a more highly polished, stuiod sound. That’s when we found out about T-rackS, a Mac application that worked like a mini mastering studio, letting us apply various audio processing sets to our mixed down songs, without having to pay someone a lot of money to do the same thing. It made our music sound a LOT more professional. I lost track of T-rackS software, and I assumed that it had gone the way of System 8, honestly. 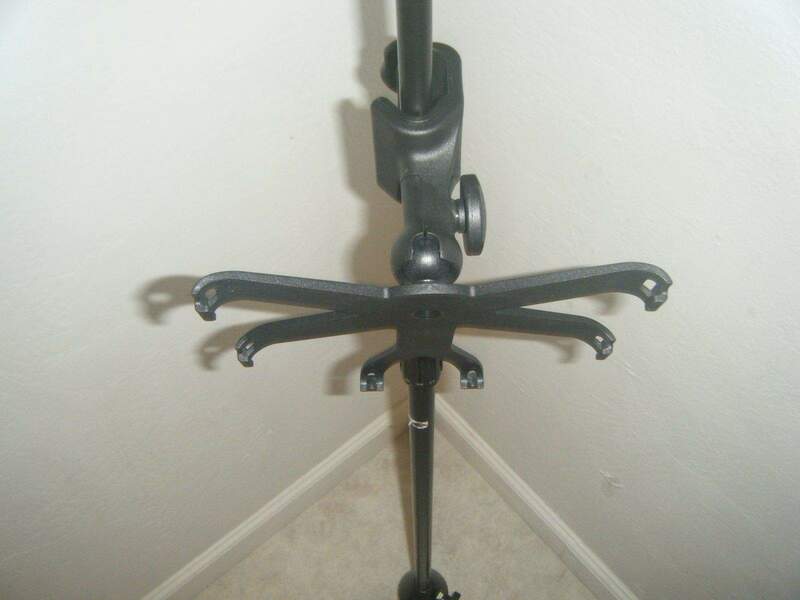 Then IK Multimedia came up with a revamped T-RackS, ready to purchase and use right now, and I knew I had to try it out.